We are honored to announce that we won another Red Herring Award. 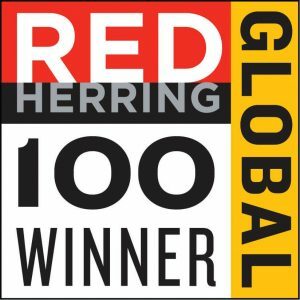 This time, NoviFlow was awarded the 2017 Red Herring Top 100 Global Startups. Companies from all over the world entered for this prestigious award that recognizes the most exciting and promising startups. Only two Canadian companies made the Top 100 Global list, and we are thrilled to be one of them. Red Herring uses more than 20 criteria to analyze the companies. Some criteria are scale-based and some are absolute numbers. For example: market maturity and size, growth rate, execution index, branding, to name a few. Back in June, we were announced as winners of the 2017 Top 100 North America Award. 2017 has been an extremely successful year for NoviFlow. With two new major partnerships established, the launch of our cyber security solution, and multiple tier-1 network operators deploying our fully programmable forwarding planes around the world. We are thrilled to see our efforts being recognized by such a distinguished organization. Read the Techvibes article here. Access the full list of 2017 Red Herring Top 100 Global Startups here.